Dental crowns placed by Dr. Stephen D. Lipman can restore comfort, balance, function, and a natural appearance to your smile and bite. Dr. Lipman offers traditional restorations and same-day dental crowns at our Windsor, CT, practice. Both types are designed to strengthen damaged teeth, and are made of high-quality materials that are durable and look completely realistic. A dental crown is a tooth-shaped restoration that is placed over a damaged or badly decayed tooth. The restoration supports the weakened tooth and improves its function and appearance. You may need a crown after root canal therapy to preserve the tooth's remaining structure. Dental crowns are also used to secure artificial teeth as part of a traditional dental bridge, and they can be placed over dental implants to replace missing teeth. In order to be a suitable candidate for a crown, you must have healthy gums. If you have any signs indicating gum disease, Dr. Lipman can first discuss treatment to restore your gum health. Dr. Lipman offers traditional crowns as well as same-day crowns. Once he determines that you need a crown, he will prepare your tooth by removing decay and shaping the tooth to accommodate the restoration. 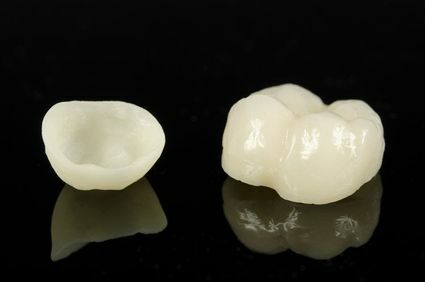 If you are receiving a same-day crown, Dr. Lipman will send the design to the CEREC® milling machine, which works like a 3-D printer to make custom restorations from blocks of porcelain. Next, he will take an impression of the treatment area. If you are receiving a traditional crown, the impression will be sent to our dental lab for fabrication. Since the fabrication process can take up to two weeks, Dr. Lipman will place a temporary restoration to protect your reshaped tooth. While wearing the temporary crown, you should take care not to eat very sticky, chewy, hard, or crunchy foods. When your permanent crown is ready, you will return to our office so that Dr. Lipman can replace the temporary crown with the permanent restoration. Lastly, he will buff and polish the crown so that it has a smooth texture and your bite is not affected. If you are receiving a same-day crown, Dr. Lipman will create a 3-D model of your teeth. After analyzing the images and making adjustments, he will send the design to the CEREC® milling machine, which works like a 3-D printer to make custom restorations from blocks of porcelain. Once the crown is finished, Dr. Lipman will make any slight adjustments to ensure a proper fit, then polish it and bond it to the prepared tooth. You can return to work or go home with a completely restored smile. With proper care, your crown can last for up to 15 years. 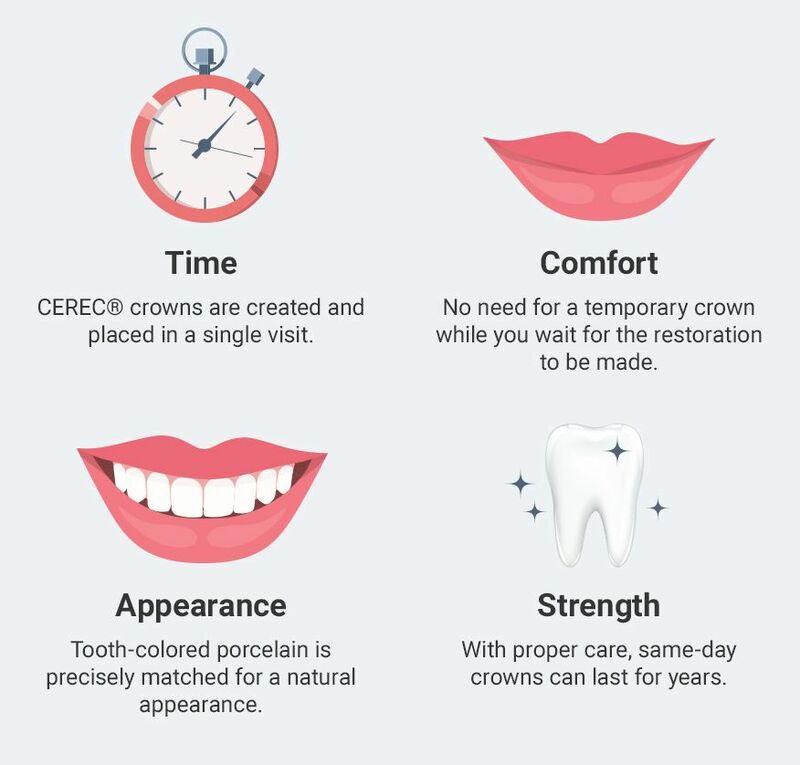 A dental crown or crowns can be an important part of restoring your smile to natural-looking beauty and can help to keep your mouth healthy for years to come. Dental crowns have been a trusted and effective restorative procedure for decades. Contact our office today to schedule a consultation with Dr. Lipman and learn whether a crown is right for you.